Associated PressA young Elvis Presley was already a rock star by the time he was drafted in 1957. In honour of Veteran’s Day, we’re taking a look back at some of the most famous people who have served in the military. 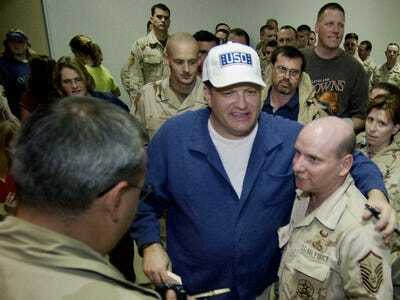 Some stars, such as Chuck Norris or Elvis Presley, have well documented their time in the armed forces — while others, like Drew Carey, may come as more of a surprise. This report was also written by Jennifer Michalski. Comedian Drew Carey started performing stand-up comedy during his six years in the Marines. 'While in the Marine Reserves, I was looking for a way to make some more money, and it was suggested that I try using my jokes,' he later said. Carey, who teamed up with the United Services Organisation, has since visited military bases in Iraq to perform comedy for troops stationed there. Thomas Pynchon served in the Navy. 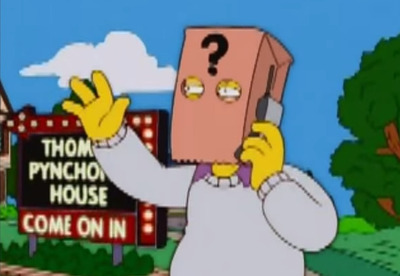 Considering his monumental importance to American letters and literature in general, little is actually known about Pynchon, who refuses to be photographed and doesn't grant interviews. One of the only confirmed photos of the author of such celebrated postmodern doorstops as Gravity's Rainbow and Mason & Dixon is from his two-year stint in the US Navy, which came in the middle of his four years at Cornell University in the late 1950s. Pynchon's time in the Navy is evident in many of his major works: V. follows the misadventures of a recently-discharged Navy sailor in early-60s New York. Gravity's Rainbow, which takes place in World War II's European theatre and revolves around Nazi Germany's V-2 missile program, is particularly rife with military-related themes and characters. 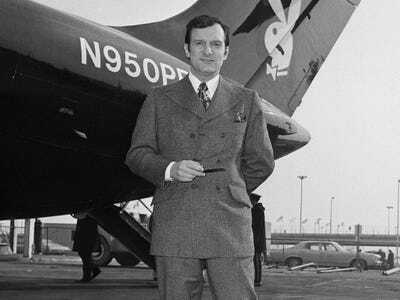 Hugh Hefner got his start in publishing while in the US Army. 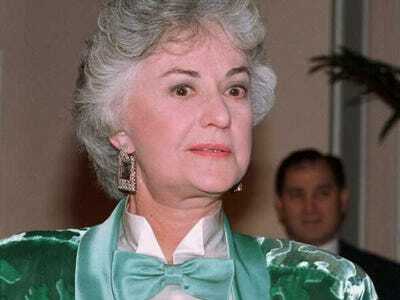 Bea Arthur was a typist and truck driver in the Marines. Before she landed a lead role in 'Golden Girls,' Bea Arthur served in the Marine Corps. She was initially a typist in Washington D.C., and was then sent to air stations in Virgina and North Carolina. Arthur was honorably discharged in 1945 with the title of staff sergeant. 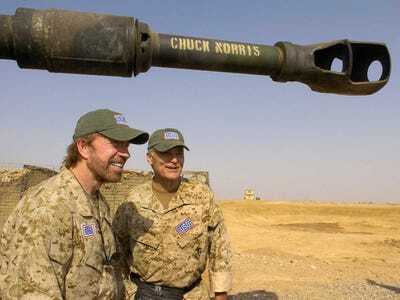 Chuck Norris was introduced to martial arts during his military stint in South Korea. In 'The Official Chuck Norris Fact Book: 101 of Huck's Favourite Facts and Stories,' Norris recounts a time in South Korea when he saw locals practicing martial arts. 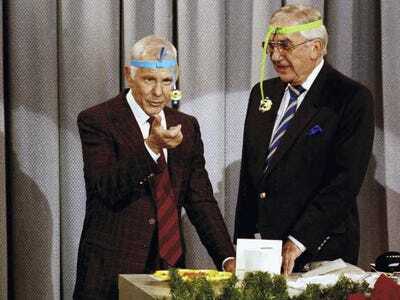 Johnny Carson entertained fellow troops with magic acts during World War II. The future television host and comedian joined the US Navy in 1943, starting as an apprentice shipman and eventually a midshipman assigned to the USS Pennsylvania in the Pacific Ocean. Bill Cosby worked with seriously injured Korean War soldiers while in the Navy. 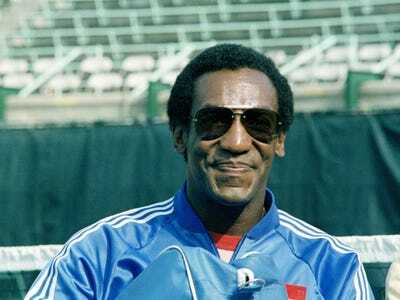 Actor Bill Cosby joined the Navy in 1956 as a hospital corpsman, serving at at least five marine bases throughout his four-year service. Cosby worked in physical therapy with seriously injured Korean War soldiers. At a 2011 Navy ceremony designating Cosby as an honorary chief petty officer, the entertainer spoke about his time in the armed services. 'The years I spent in the Navy and so many moments remembering that the Navy gave me a wake-up call. The Navy showed me obedience and that's the thing that pushed me to realise the mistakes I had made in my young life at 19-years-old and that I could do something with myself and become somebody,' he said. Ice-T served in the Army for four years after selling drugs on the streets of L.A.
After high school, Tracy Lauren Marrow -- aka Ice-T -- found himself without many opportunities, often dealing drugs on the streets of Los Angeles to support himself. 'And when I had my daughter I was like, man, I'm going to go to jail, I got to do something, and I went to an enlistment office,' he told NPR. Elvis Presley was already a huge rock star when he was deployed to Germany. 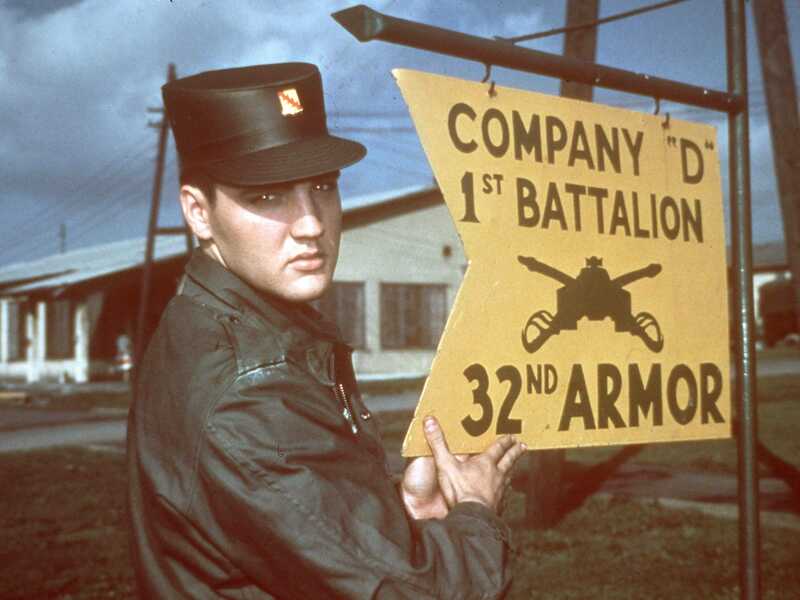 Elvis Presley was drafted in December 1957, and entered into the United States Army in March 1958 -- two years after his songs 'Hound Dog' and 'Heartbreak Hotel' hit the airwaves and turned an unknown Mississippi boy into America's King of Rock and Roll. 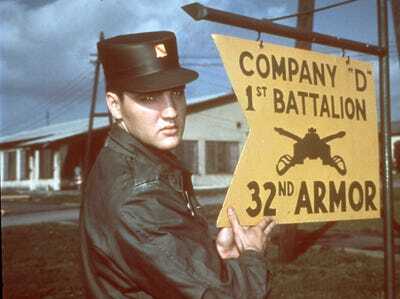 Presley was stationed in Fort Hood, Texas before being deployed to the 1st Medium Tank Battalion, 32d Armour in Friedberg, Germany. It was there that he met his future wife, Priscilla Beaulieu. Roberto Clemente is in the Marine Corps Sports Hall of Fame, too. One of the greatest hitters of the 1960s, the Pirates great enlisted in the Marine Corps after the 1958. He spent six months on active dut by remained in the corps until 1964. Clemente, who earned his 3,000th hit in what would become the last plate appearance of his career, was killed in a plane crash while helping to deliver relief supplies to earthquake victims in Nicaragua in December of 1972. The Baseball Writers of America waived the five-year eligibility requirement for Hall of Fame induction for Clemente, who entered Cooperstown in 1973. He would also be elected to the Marine Corps' Sports Hall of Fame 30 years later. 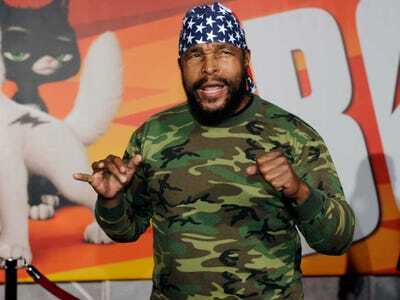 After being expelled from college, Mr. T excelled while serving in the U.S. Army. 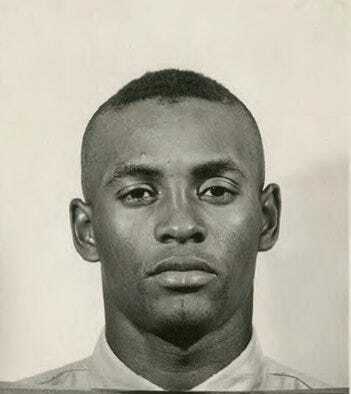 Mr. T (Laurence Tureaud) became a military policeman in the Army after being expelled from college. The future 'The A-Team' actor was also elected 'Top Trainee of the Cycle' and later promoted to squad leader. 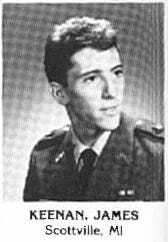 Maynard James Keenan was once headed for West Point. Before his long-form experimental rock band sold 12 million albums and garnered an obsessive worldwide following, the Tool frontman was an army enlistee hoping to get through art school on the GI Bill. He distinguished himself enough to make it into West Point's preparatory school and was even offered a spot in the prestigious US Military Academy -- something that would have all but secured him a long, successful career in the armed forces. Keenan turned it down. He finished out his enlistment, but songs like 'Intolerance' -- supposedly written about his time at West Point -- betray a personal discomfort with at least some of the institution's values. 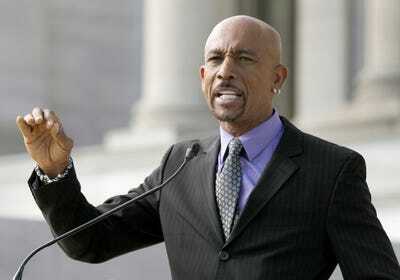 Montel Williams served in the US Navy Reserve for 22 years. Montel Williams enlisted in the US Marines Corps in 1974. After graduating the US Naval Academy in Annapolis, he was appointed as a midshipman in the Navy. Kurt Vonnegut was a prisoner of war during World War II. Those sections of Slaughterhouse-Five about the allied firebombing of Dresden drew from personal experience. Captured during the Battle of the Bulge in late 1944, Vonnegut was confined in a German prisoner of war camp near the city during the February 1945 aerial campaign. Some view the novel as an extended metaphor for what is now recognised as post-traumatic stress disorder. 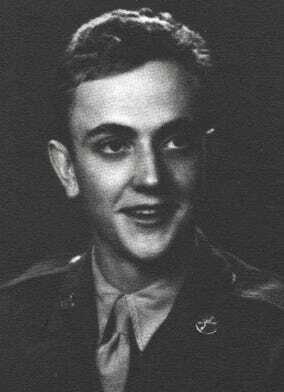 Vonnegut received a Purple Heart for his service in World War II, along with three bronze service stars. The horrors he witnessed as an infantryman and POW would feed the simultaneously jaundiced and uncannily heartfelt view of humanity on display in novels like Breakfast of Champions and Cat's Cradle. 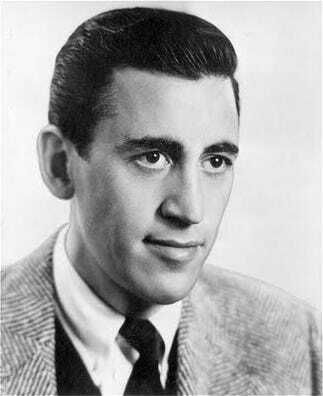 JD Salinger participated in the D-Day landing. The author of The Catcher in the Rye landed on Utah Beach during the Normandy invasion, fought in the Battle of the Bulge, and liberated the Nazi death camps at Dachau. While Catcher is perhaps the defining literary treatment of conformity and alienation in post-war American society, Salinger had actually been working on the novel during the war. 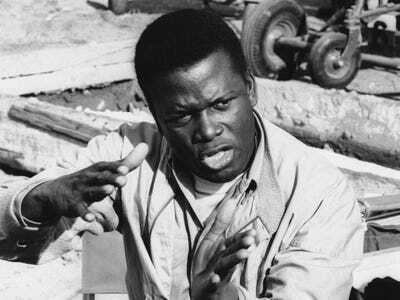 Sidney Poitier acted insane to find a way out of the Army. After moving from the Bahamas to the United States as a teenager, Poitier had a hard time finding work. 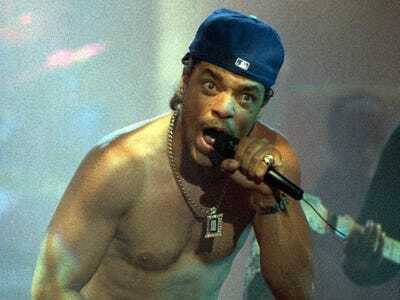 New York City's bitter winter temperatures were a drastic change of environment for the now Academy Award-winning actor. 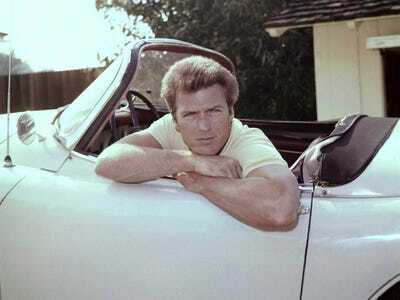 Clint Eastwood escaped from a sinking aircraft while serving in the Army. Jimi Hendrix's guitar-playing often distracted him from his Army duties. When authorities caught Hendrix riding in stolen cars in Seattle, they gave him two options -- go to jail, or join the Army. So, in 1961, Hendrix enlisted and was assigned the 101st Airborne Dibision in Kentucky. Though Hendrix had some success -- he was awarded the Screaming Eagles patch after completing paratrooper training -- his constant guitar-playing often kept him from his duties and drew criticism from fellow soldiers. 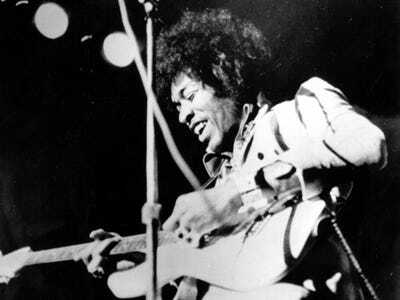 Hendrix was later discharged from the Army due to a ankle injury sustained in a parachute jump. The rest is Rock 'n' Roll history. The founder of the greatest rock band of all time might have a had much different path in life if he hadn't received a general discharge for poor conduct nine months into an army enlistment in his late teens -- a stint that actually included basic training at California's Fort Ord. 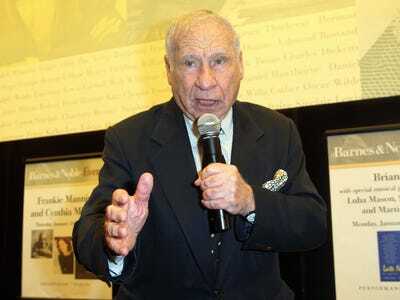 Mel Brooks defused land mines while serving in World War II. 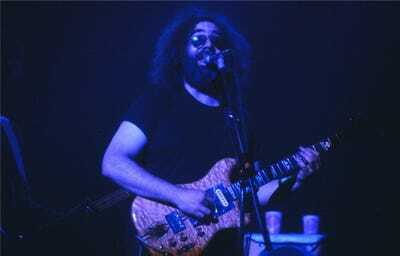 Thereafter, he attended the Army Specialised Training Program at the Virginia Military Institute. Pat Sajak was a disc jockey for armed forces radio. The 'Wheel of Fortune' host joined the US Army in 1968, first working as a finance clerk in Vietnam and then as a disc jockey for 18 months on armed forces radio. On The Military Channel's 'An Officer and a Movie,' Sajak later admitted to accidentally botching President Nixon's 1969 Christmas broadcast to the troops, cutting it off too early. 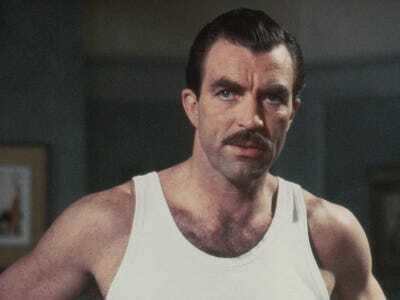 Tom Selleck's National Guard unit was activated during Los Angeles' Watts Riots. 'Magnum, P.I.' actor Tom Selleck served in the California Army National Guard, and his unit was activated for the Watts riots in Los Angeles in 1965. Long before Alan Alda had the fictional role as Hawkeye Pierce in 'M*A*S*H,' a CBS series about a team of medical staff stationed at a surgical hospital in South Korea during the Korean War, he had his own personal military experience. 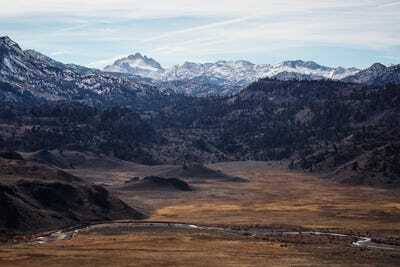 Now see where the Marines train for alpine warfare.